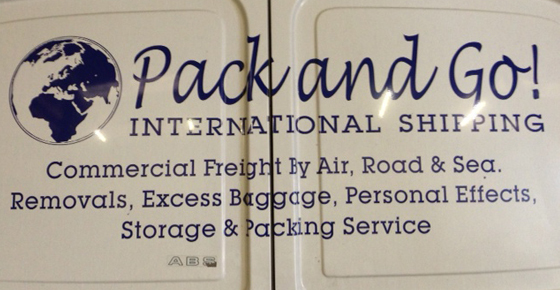 ﻿ International removals - more than 20 years experience - Pack and Go! We have been providing international removals, specialist packing, global logistics, storage solutions and bespoke freight forwarding services across the world since 1992. With our founder still working in the business, we are renowned for our personal service and we gain most of our new clients from the referrals of satisfied customers. Our ever growing and extensive client base includes film and technology industry executives; celebrities and professional footballers; embassy and diplomatic staff; business leaders and support personnel; international students, global travellers and many others on the move! In the UK we operate from our storage and distribution depot near London Heathrow and alongside our own depots and staff across Europe, with our professional status and memberships of BIFA and FIATA, we have a long established global network of approved and trusted local agents. We offer competitive pricing and often suggest alternative methods of carrying your items, depending on delivery requirements or budgets. By Road, Sea, and Air - Pack and Go will have an answer. If you would like an estimate for your requirements, no job is too big or too small, please do not hesitate to contact us. In 1992 with 25 years’ experience in the logistics profession, our Founder and Managing Director, Alan Palmer decided to launch his own logistics business that has now evolved to today’s business trading as Pack & Go. With his team of experienced and dedicated employees and ever growing client base and worldwide networks, Alan has understood that in this ever changing world of global business, nothing but our very best efforts will do to satisfy our client requirements. 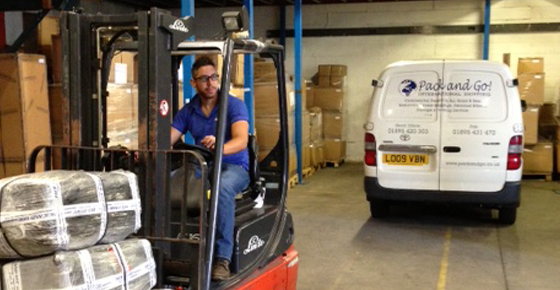 Pack & Go has been providing international removals, specialist packing services and global logistic solutions to a diverse range of clients, operating from our depots across Europe and, in the UK from what is now our third storage and distribution depot near London’s Heathrow Airport (LHR). Pack & Go are full trading members of the British International Freight Association (BIFA) and the International Federation of Freight Forwarders Associations (FIATA), are valid CASS account holders and are fully insured, offering complete insurance coverage for your most valuable items. Pack & Go! Our primary aim is to give complete peace of mind to our customers and ensure the smoothest delivery of your shipment – whatever the size, content, and destination. 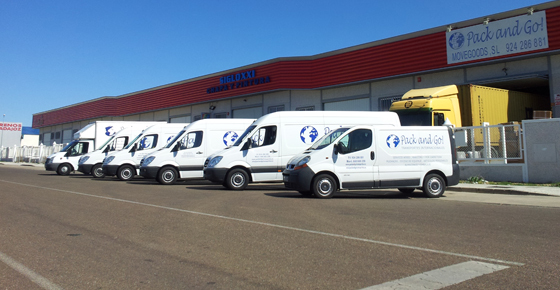 Removals – full removal services and assistance with relocation within your country or overseas. 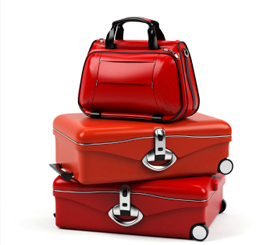 Excess baggage – for people on the move with more to carry than it is economically viable to take with you. Packing – for our own services, no job is too small or too big. We are frequently commissioned as specialist sub-contractors by global contract operators. 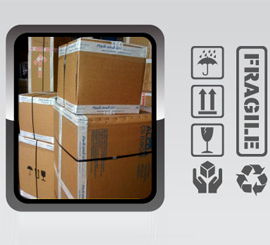 Bespoke Services - expert packing services for all modes of transport, including crating for high value/fragile or sentimental items. Freight – by Air, Rail, Road and Sea. Imports and Exports - prompt clearance and deliveries for landed goods. Courier – parcels and documentation worldwide ‘door to door’. High security – secure alarmed warehouse, with CCTV camera surveillance inside and out. With more than 20 years operating experience in our industry, our goal is always to offer complete peace of mind to our customers and ensure the efficient delivery of your shipment – whatever the size, the content, or the destination. Location - Our UK storage and distribution depot near London Heathrow Airport provides a strategic centre to our network, with quick and easy access to all UK routes and logistic options. Experience – handling everything from antiques to engine parts, your excess baggage to entire household contents, collections, deliveries and packing/storage services. Service - we are dedicated to providing a personal and comprehensive service to all our clients. Solutions – no challenge too big or too small – with our own staff and depots in Europe; with long-standing relationships in areas such as Australasia, North and South America, along with a worldwide experienced network of trusted agents, facilitates us to work with clients according to their own needs and budget requirements. Price – competitive pricing, of course, everyone wants a great price! Our long term industry knowledge enables our staff to provide logistical solutions for every requirement in the most efficient and cost effective way. Trust – with most of our business being generated by referrals, getting the job done - on time and within budget - makes Pack and Go a solution provider that our clients are happy to recommend on a regular basis. I thank the whole team at Pack and Go, everyone has always been very attentive, quick and helpful, took very good care of many things in my last relocation. I also thank the account manager for their help to resolve any problems – Big hug to you all.